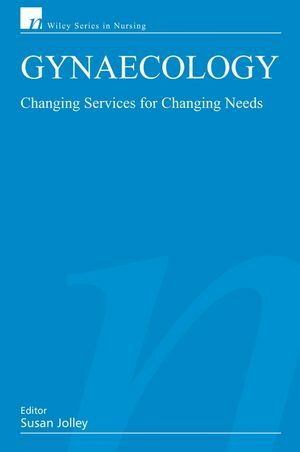 This book addresses the reality of delivering gynaecological care in the 21st century, and looks at the developments that are currently taking place in the field. It provides an overview of some common gynaecological problems and looks at new services and different ways of delivering care. It also shows how gynaecological services are developing in response to women's needs. Above all the book is not medically orientated but shows how nurses and professionals allied to medicine are making a difference. Sue Jolley (Editor), Womens centre, Clinic 3, B floor east block, Queens Medical Centre, Derby Road, Nottingham. Sue Jolley was a mature entrant into nursing, previously working as a primary school teacher. She has been a Gynaecology Nurse for 15 years and has developed a special interest in teenage sexual health. Currently, she has dual responsibility for promoting research and managing the Gynaecology pre-operative assessment unit. She has several articles published on issues relating to women’s health. 1. Nurse-led Assessment in Gynaecology (Sue Jolley). 2. Promoting Sexual Health (Sue Jolley, Sue Griffiths, Helen White). 3. A Vital Role for Nurse Colposcopists S(ue Jolley, Sally Wright). 4. Optimising Care for Women with Problems in Early Pregnancy (Anne Walton, Cindy Wilson, Sian Schmidt). 5. Developing an Effective but Realistic Fertility Service (Jill Yates). 6. The Role of the Urogynaecology (Nurse Liz Towell). 7. The Role of the Women’s Health Physiotherapist in Gynaecological care (Judith Lee). 8. The Menopause and Beyond: a Positive Approach (Sarah Kordula, Joan Meyerowitz). 9. Delivering Patient-centered Cancer Care Gynaecology (Julie Golding, Sally Wright). 10. Risk Management in Gynaecology Julie (Golding, Sue Jolley).